Hair Salon: Should You Deep Condition Your Hair? Your hair goes through a lot every day. Brushing, washing drying, curling, straightening … the list goes on! Deep conditioning your hair is something to consider as you fight for the health of your hair. We offer deep conditioning in our hair salon, and we’d love to discuss it with you. For now, you can learn the basics here. Deep conditioning is like the regular conditioning people do in the shower, but instead of conditioning for 2-3 minutes, deep conditioning goes for 30+ minutes. Additionally, where regular conditioning coats the hair, deep conditioning actually penetrates each hair shaft. In order for this to happen, heat must be applied, because it makes the hair shafts swell enough for the conditioner to enter and seal the cracks. What kinds of deep conditioning treatments are there? DYI treatments: These are made from eggs, oil, or mayonnaise and use hot water or a hair dryer to set the conditioner. While they can save you money, be aware that they are smelly and they can make you break out along your hairline. Over-the-counter treatments: These are more convenient than DIY solutions, because they come with instructions and will often last more than one conditioning. You will need a shower cap and a hair dryer to set the conditioner. Salon Treatments: Conditioning treatments like you will receive at our salon guarantee results because the products are professional, and a salon will have a heater/dryer for setting the conditioner. Who should deep condition their hair? 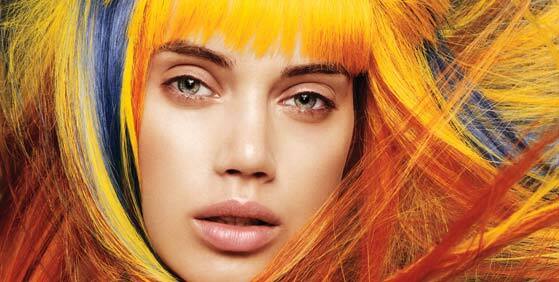 Deep conditioning can benefit anyone’s hair – it’s the timing that needs to be managed. If your hair is colored and constantly heat-styled, you may need to deep condition up to once a month. Once a week is required for hair that is very dry and brittle. Observe how your hair handles the conditioning – if it becomes lank and greasy, you’ve gone too far. Reel it back until your hair has the body and shine you want. At ShearCut, we use only the best products, and we work with you to make sure you get the best result, because we know hair that makes you happy can change your life. Make an appointment today!